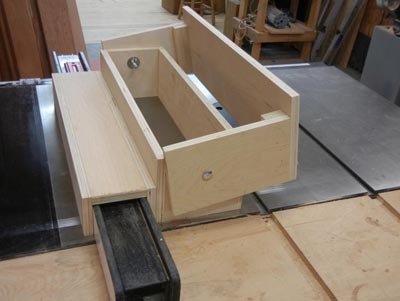 It seems that every month there is another article in one of the popular woodworking magazines on building a tenoning jig for your shop. Each new jig has some new ‘special’ feature…T-slots, vertical clamps, x-y axis rotation around the center of the Earth and much more!! However, all these homemade shop jigs only cut straight tenons. What happens if you want to cut a compound angled tenon on the end of a board? CLICK HERE for an easy way to build a tenon jig to cut compound angled tenons on your table saw.